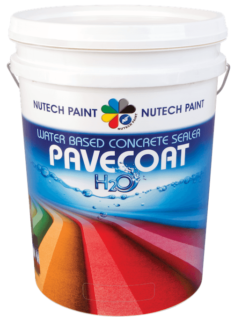 We supply a wide range of concrete sealers to suit any situation. 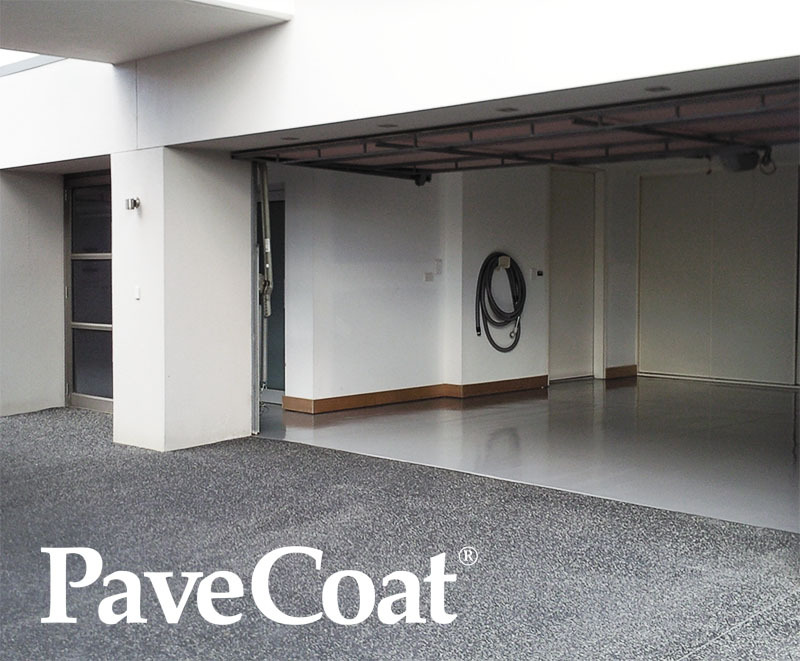 The use of clear and coloured coatings and sealers on concrete has become very popular. It's an attractive and cost effective way of decorating and protecting concrete paving, driveways, garages, workshops and factories. 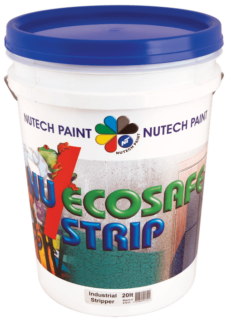 Water Based Non-toxic Paint Remover Suitable for High Performance Coatings. EcoZorb is a natural mineral product and works by a method known as “Silica Encapsulation” meaning the encapsulated liquid becomes part of the Silica Molecule. 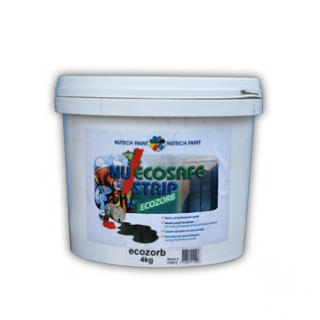 This means that when EcoZorb is applies to a liquid spill it will absorb the liquid with No free liquid leaching or run off. 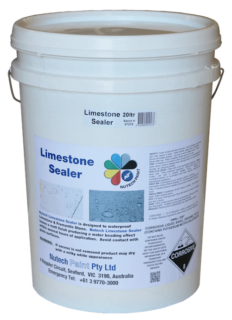 Limestone Sealer is a water based, VOC compliant, deep penetrating, ready-to-use silicon water repellent manufactured for horizontal surfaces. Limestone Sealer is a Breathable, Colourless, Non-Yellowing, Non-Staining, Non-Flammable, and Non-Film forming water repellent. 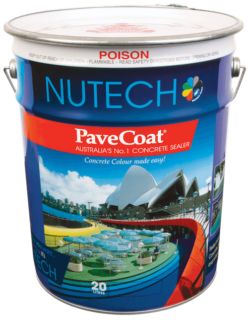 For use on Limestone and Fremantle Stone, for protection without altering the appearance or texture of the treated substrate. 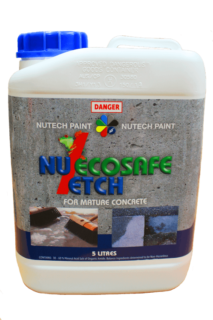 Nutech AquaStop Silicon Sealer is a single pack concrete, masonry and terracotta sealer has been developed for alkaline and non alkaline building materials to impart water repellency to absorbent materials. The sealer is water dilutable and produces rapid surface water repellency producing a beading effect within a few hours and complete curing within 24 hours. Is a water based surface prep etching compound specifically designed to provide a surface profile on green and mature concrete. Etching is often a prerequisite for application of high performance paint/coating system. The residue is easily removed by water rinsing. A unique graffiti remover specifically formulated to remove spray paint without harming the underlying painted surface. It is also very effective on permanent marker, lipstick, crayon, tape residue, ink, scuff marks, label residue, chewing gum and more. 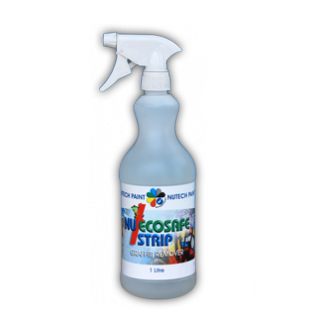 Heavy duty cleaner that is biodegradable, user friendly and environmentally safe. It is extremely effective on concrete floors in commercial and residential premises, automotive workshops, etc. Is a non-chemical, non-toxic, non-carcinogenic, odourless dry encapsulant. 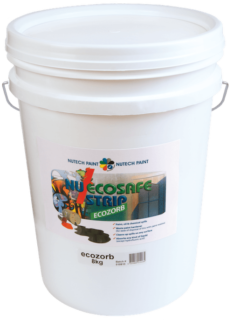 EcoZorb changes the way liquid and semi-liquid spills and liquid waste is treated in domestic, industrial and commercial environments. 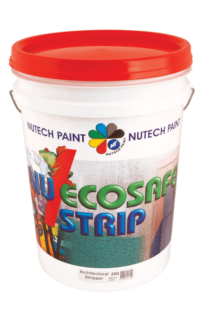 It can be used provide rapid absorption of paints, varnishes, disinfectants, oils and solvents; as a waste paint hardener (for ease of disposal of tins with paint residue) and for workshops/garages to absorb and trap all oil, petrol, diesel, hydrocarbons and chemical and waste spills. 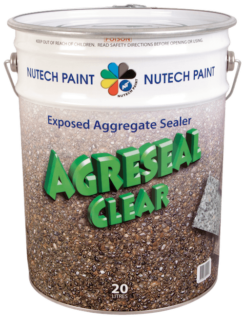 Agreseal is a penetrating non yellowing High gloss clear sealer. Designed to provide an attractive wet look finish to a wide range of new and old exposed aggregate concrete surfaces. 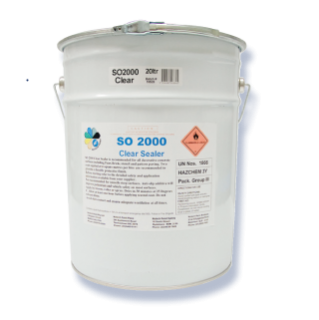 SO 2000 Sealer is a non yellowing Semi Gloss clear sealer designed to be used on a wide range of spray-on stencil and decorative concrete finishes. Improving the overall colour and durability of the surface. Is a single pack solvent based acrylic recommended for a wide variety of decorative and protective concrete, incorporating ultra-violet light protectives to enhance durability. Available in a Matt, Semi Gloss or High Gloss finish. Is a solvent based acrylic recommended for a wide variety of decorative and protective concrete, incorporating ultra-violet light protectives to enhance durability. 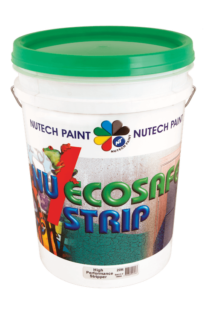 Available in Nutech’s 36 standard colours and colour matching is available. Available in a Matt or Semi Gloss finish. Is a solvent based acrylic specially formulated for surfaces exposed to petrol and mild solvents. Available in clear and a limited colour range of Light Grey, Earl Grey and Black. Is a two pack solvent based epoxy which provides excellent protection against petrol, oils and fats, alkali and efflorescence on concrete and steel surfaces. It has a high resistance to corrosion and abrasion and is impervious to water and moisture. 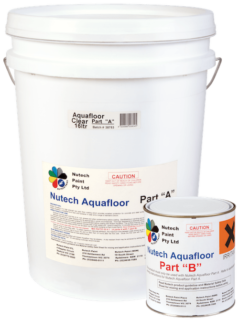 Is a low odour two pack water based polyurethane, providing excellent hardness and scuff resistance. Used for a wide range of interior, commercial and industrial floors. 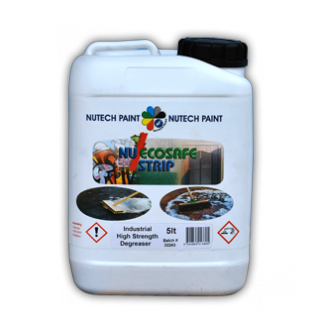 Is a two pack cross linking oil modified acrylic coating which has excellent durability and chemical resistance for both interior and exterior use. Applied over a wide range of concrete surfaces plus timer floors and metal surfaces that have been correctly primed with appropriate EPiC primer. Is a solventless two pack epoxy. Used for self levelling or high build non slip interior flooring and coving when mixed with silica sand. 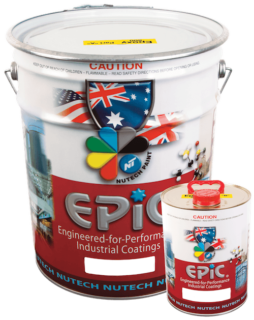 An attractive finish is achieved by overcoating with coloured EPiC Epoxy 500. Excellent durability and chemical resistance.